2. 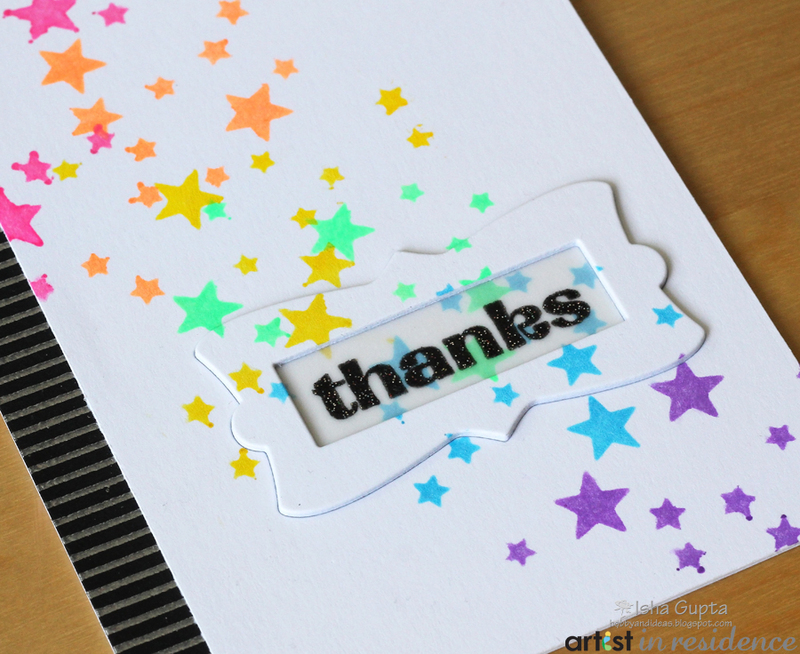 Take a piece of white cardstock. 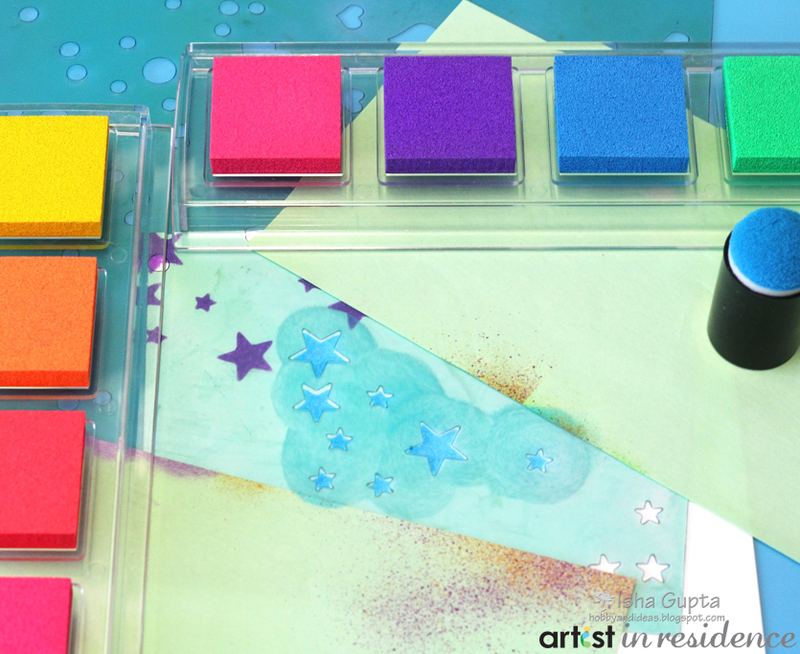 Use the stencil and mask the areas to sponge ink to selective stars. 3. Take a piece of black cardstock. 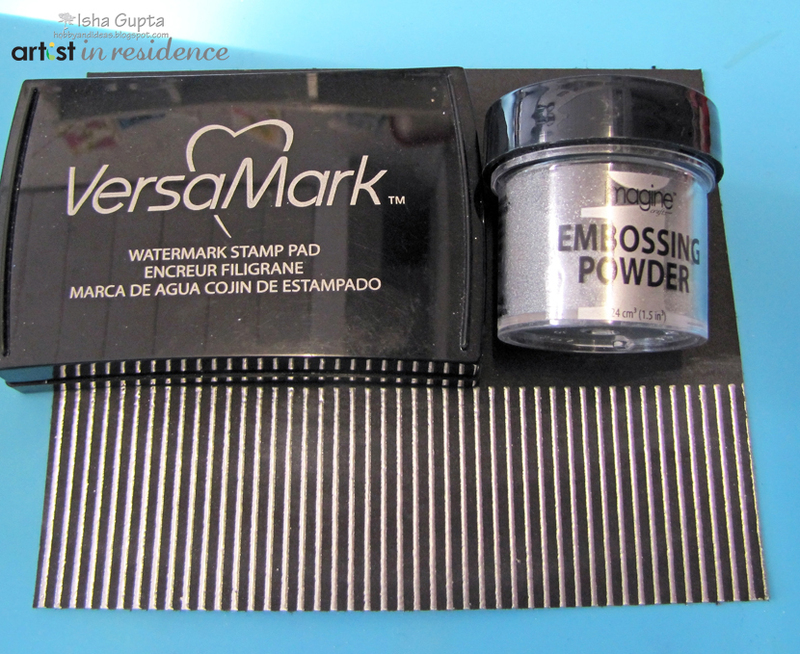 Use VersaFine and silver embossing powder to stamp and emboss the stripes. Cut about an inch stripe from this panel. 4. 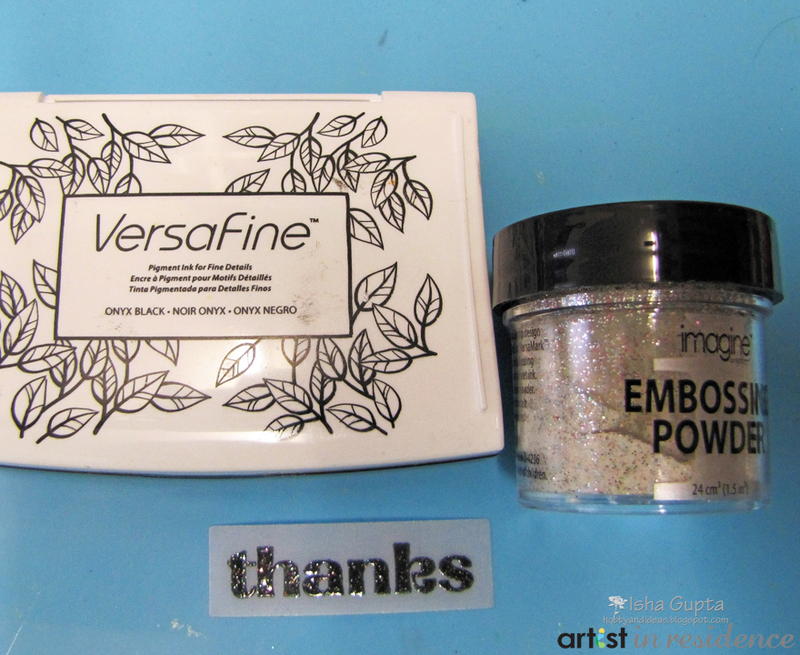 Die-cut a frame using vellum, stamp the sentiment and emboss it using Sparkle embossing powder. 5. Die-cut the frame 3 times using white cardstock and once using the sponged panel. Stack them together keeping the sponged part on top. Adhere it to the card panel. Adhere the sentiment piece in the center of the frame. 6. Assemble everything together as per the main card.